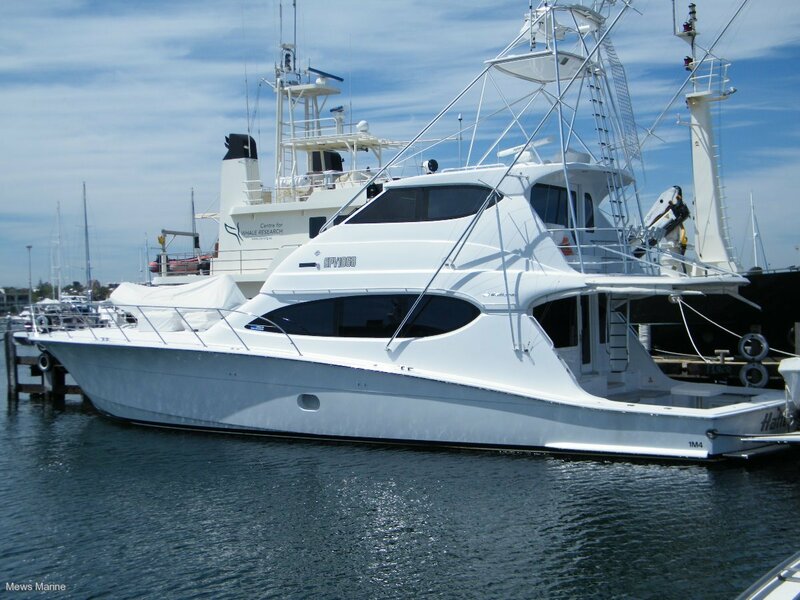 Hatteras 68 Convertible enclosed flybridge model. 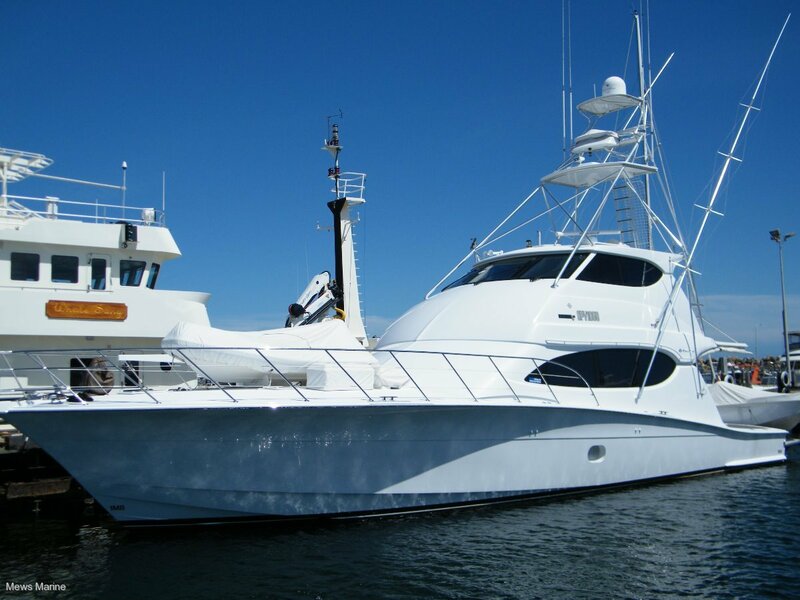 This magnificent vessel is certified to USL Class 2C survey and would be suitable for specialized 'high end' charters if required, or used privately for recreation. 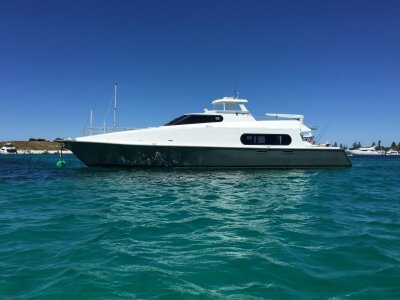 The Hatteras is powered by a pair of Caterpillar C32 1650 horsepower main engines giving 22 knots cruise and up to 30 knots sprint!. 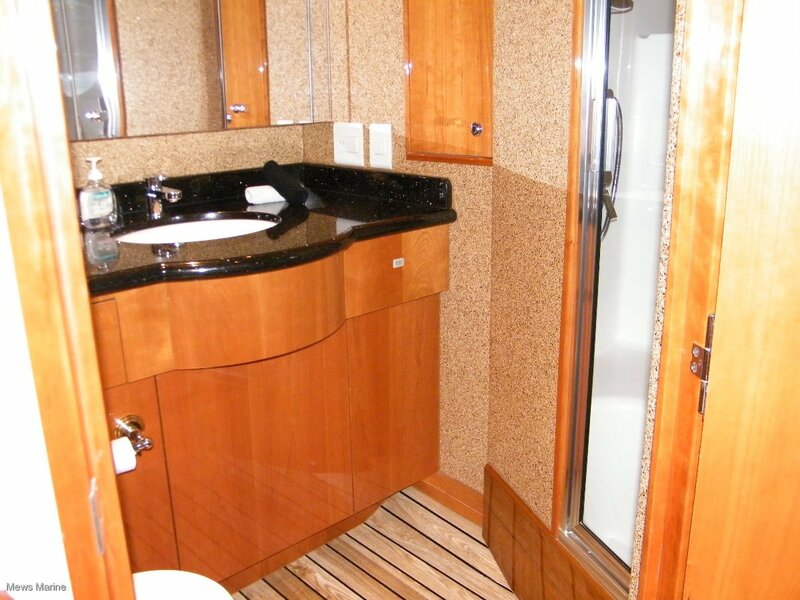 Luxurious accommodation is for 8 in four cabins with four bathrooms. 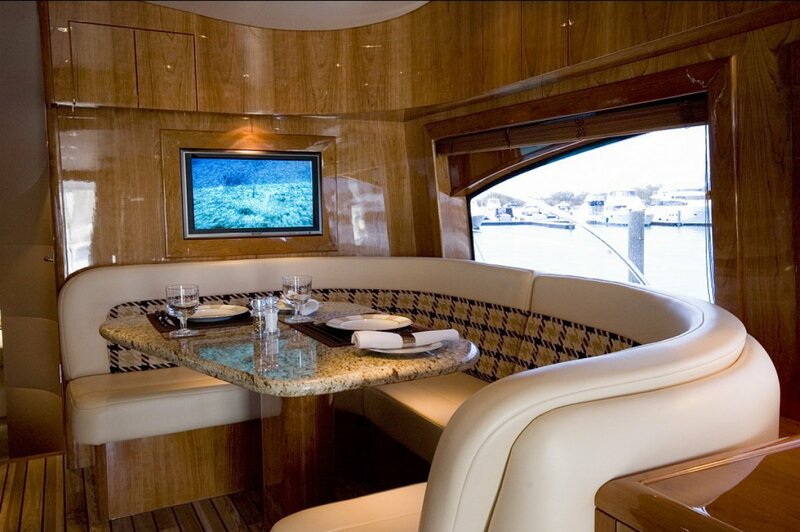 There is another berth on the bridge for the master. 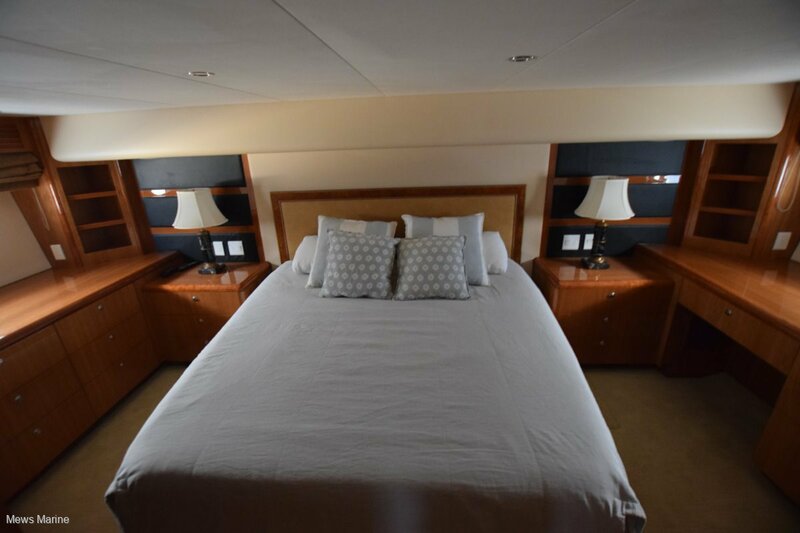 There is a large master stateroom midships, double berth VIP guest cabin forward and two  cabins with two  single berths in each. 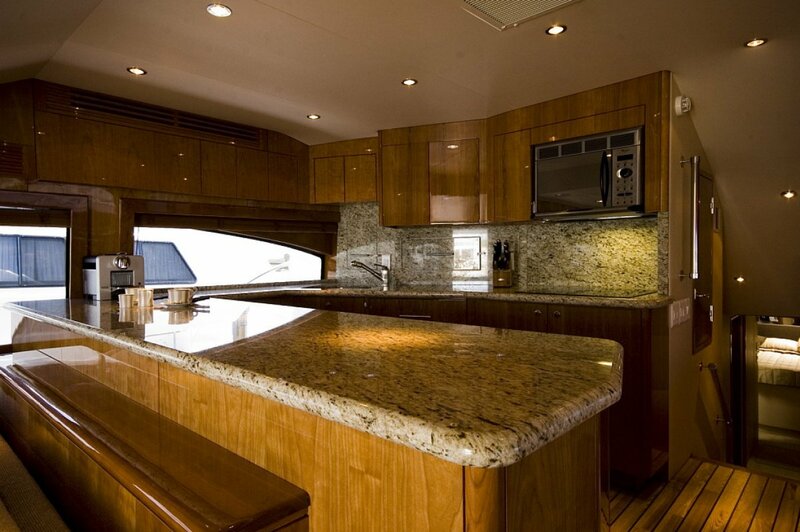 The spacious saloon & accommodation is trimmed with the finest fabrics and materials, high quality American cherry joinery work with blonde burl tabletops, comfortable lounges, cocktail bar, a coffee table that converts to a dining table and a large dinette adjacent to the fully equippped modern galley. 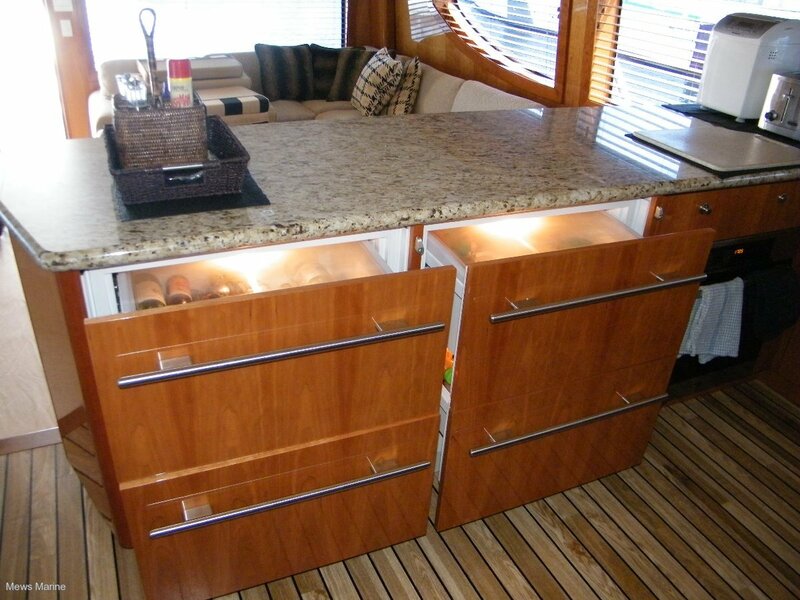 The aft teak deck is huge with a BBQ, seating, refrigeration, tackle rigging station, table and a transom door. Caterpillar C 32  1650 horsepower 12 cylinder common rail electronic diesels with twin turbochargers and aftercooling, Gearboxes are ZF hydraulic, 4.44: 1 reduction, reversing type, coupled to 101.6mm shafts driving a pair of 8 blade 'Michigan Wheel' propellors. 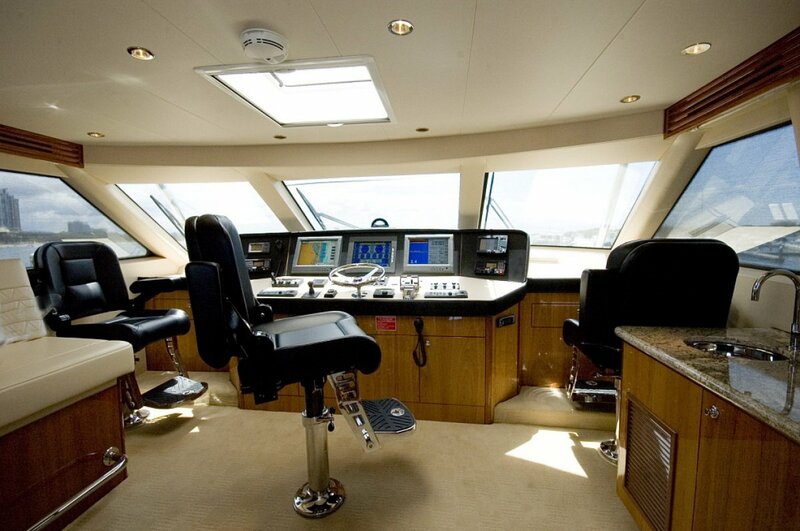 Controls are electronic 'Palm Beach' type and a bow thruster is installed for easy berthing.. Engine room: To commercial engineering Survey standard, with easy access for routine servicing and general pre start checks. There are two  'S&K' desalination plants, four air conditioning plants and two  large 27.5 Kva auxilliary generators. Ventilation is fan forced with under the gun-whale air induction. 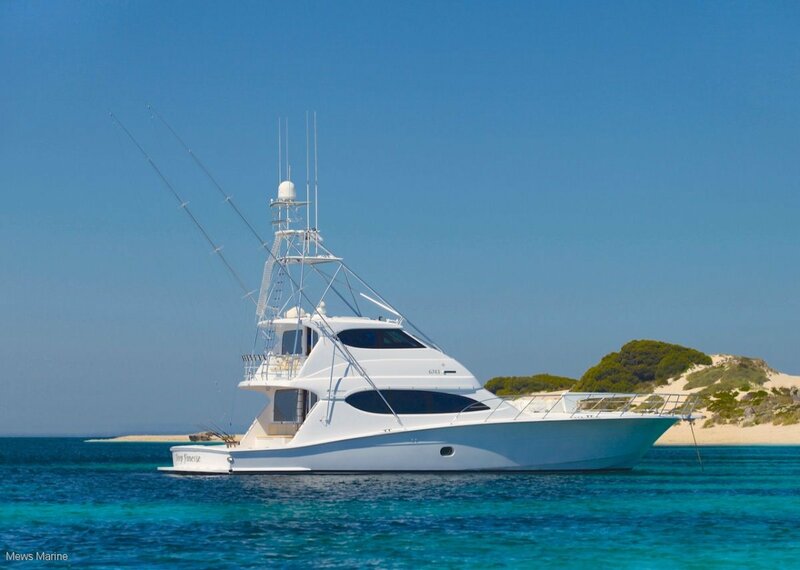 Exhausts are the underwater type to keep engine noise to a minimum. 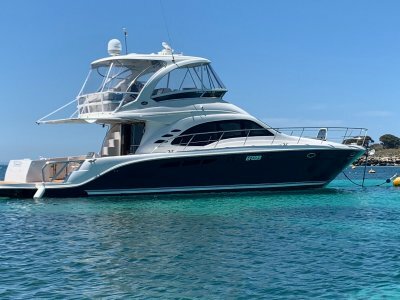 7947 l [stored in 3 fwd tanks and 2 aft day tanks] with push button fuel transfer system. 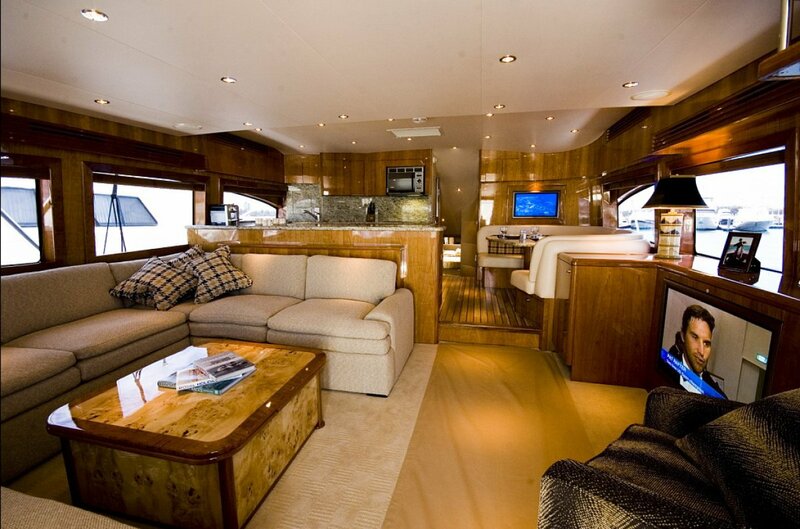 Four  cabins. 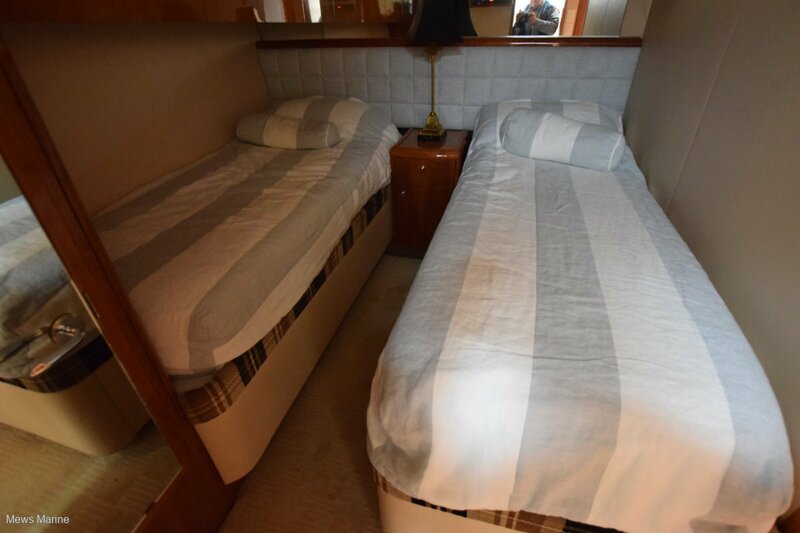 Spacious masters' stateroom midships with a King bed, VIP guest cabin forward with Queen bed and ensuite, The second guest cabin has twin berths which convert to a Queen bed and has an adjoining bathroom. 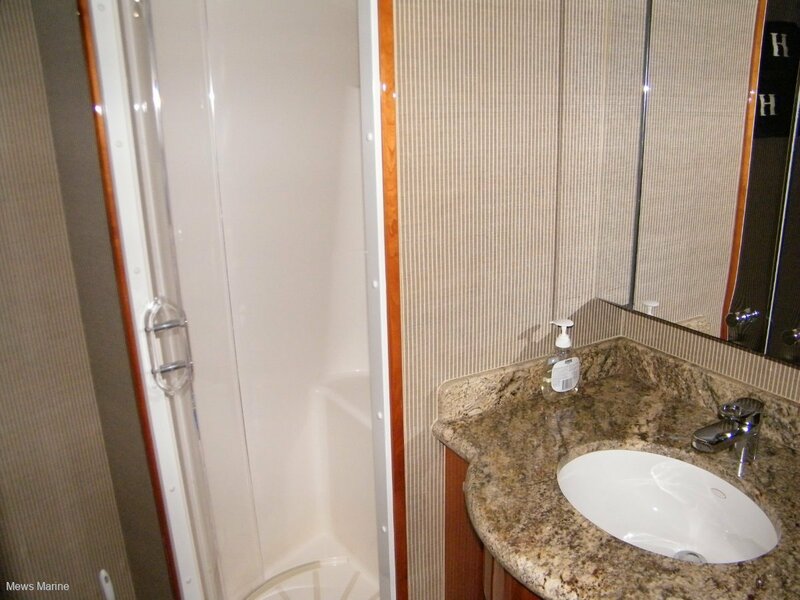 The crew cabin has two  under/over berths with adjacent bathroom. 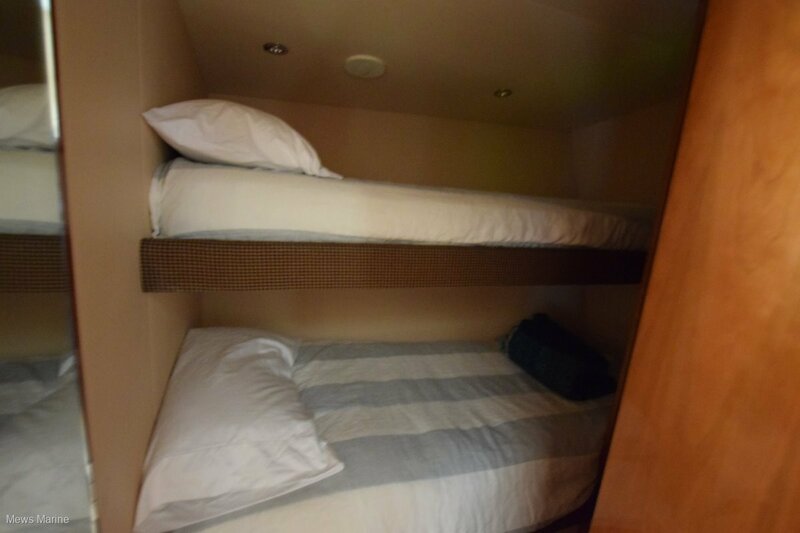 There is another convertible berth for the captain on the fully enclosed bridge. 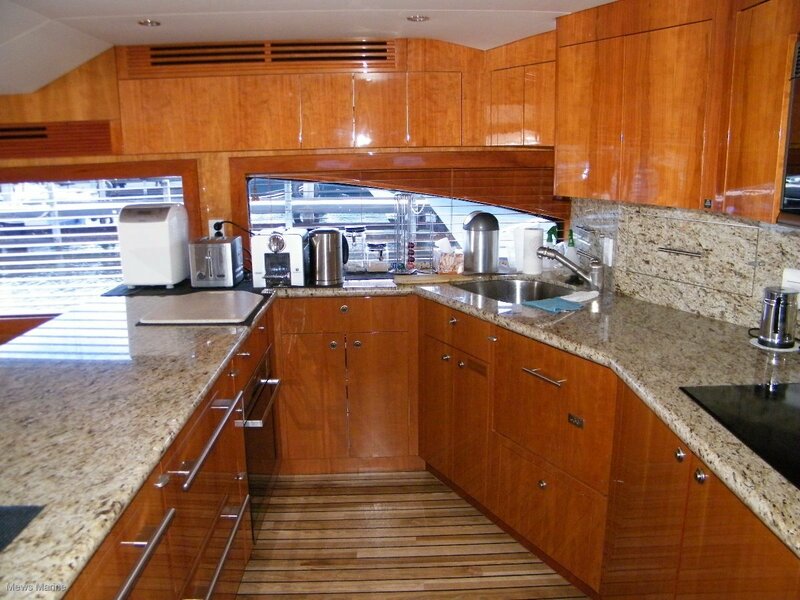 Fully equipped all electric, a Miele pyrolytic oven with a 4 hotplate cooktop, convection microwave, dishwasher, polished granite benchtops for food prep, refrigerated slide out drawers, a deep stainless sink with an 'Insinkerator', ample storage for cutlery, crockery and dry goods. There is a central vac. 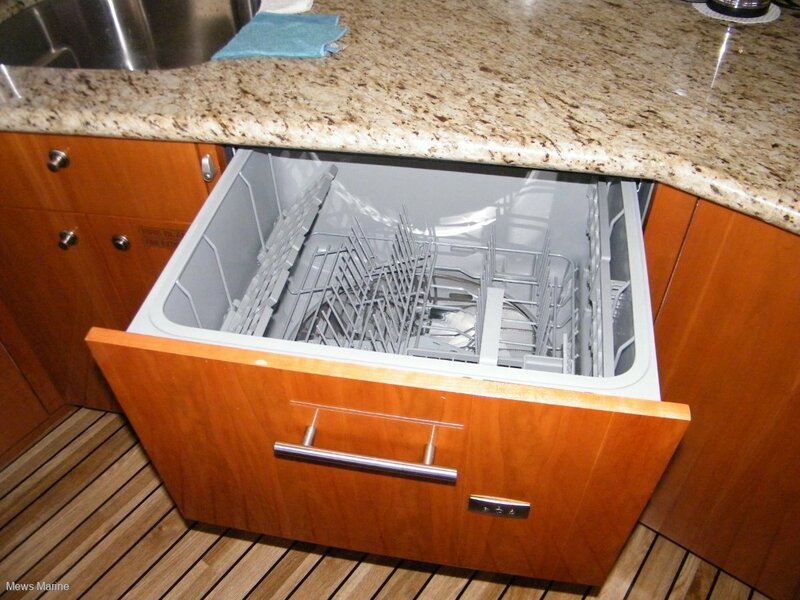 System and a quality washing machine/dryer set on board. 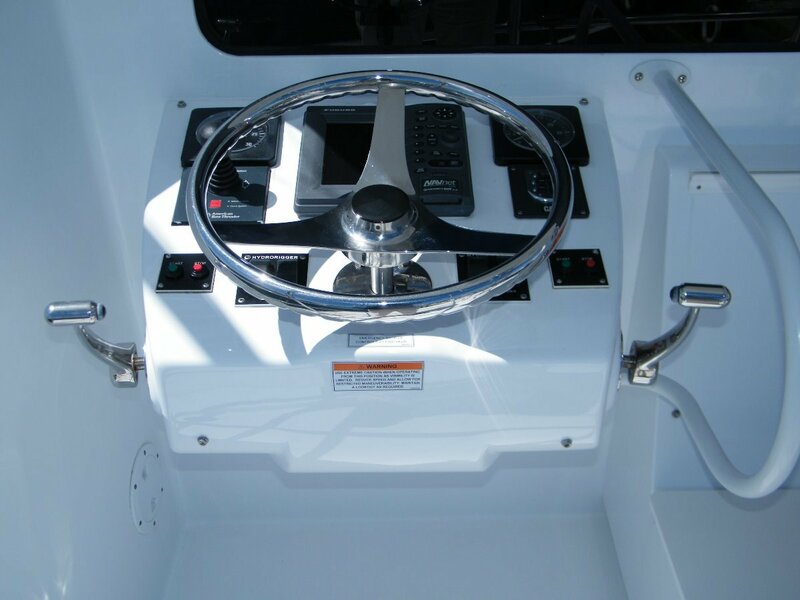 Heavy duty electric anchor winch, 80 lb stainless steel anchor. 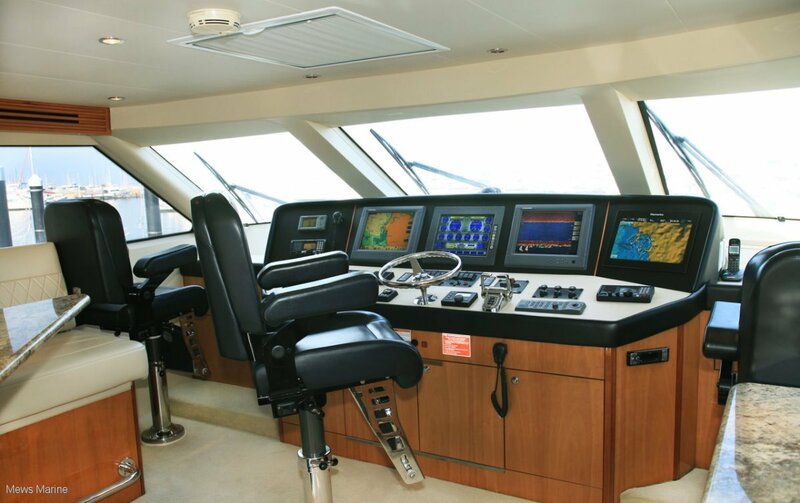 Two  17" screens linked to a 'Furuno Navnet' system with radar, deepwater echo sounder, 'Simrad' automatic pilot, in house 'Hatteras' computer systems with a full redundant back up feature, Caterpillar electronics, compass and a back up 'Northstar' GPS. 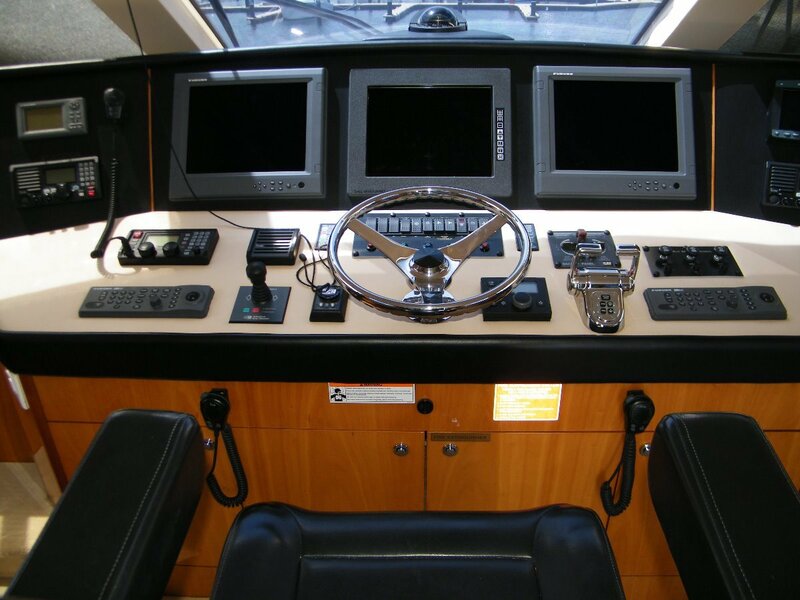 Icom single sideband HF & two  Icom Vhf marine transceivers, Closed circuit TV. 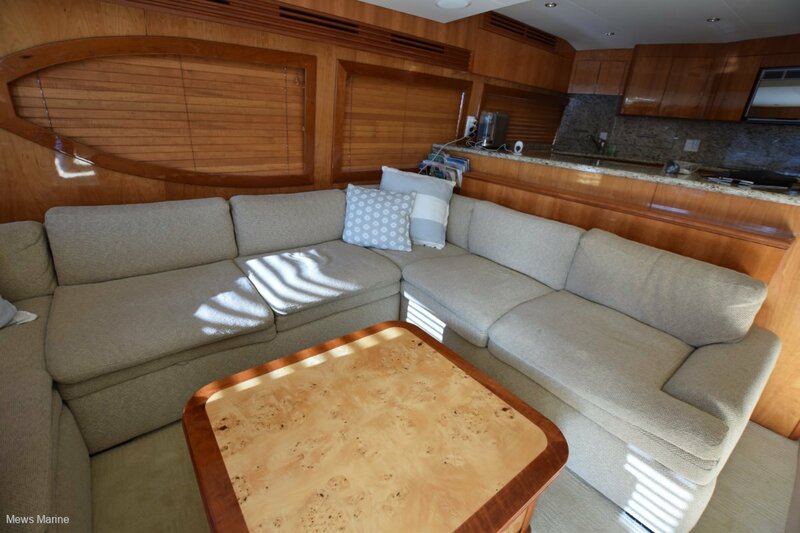 There is a 110cm Panasonic flat screen TV, plus Yahama sound surround in the saloon and TVs & Panasonic CD/Dvds in 3 of the 4 cabins. 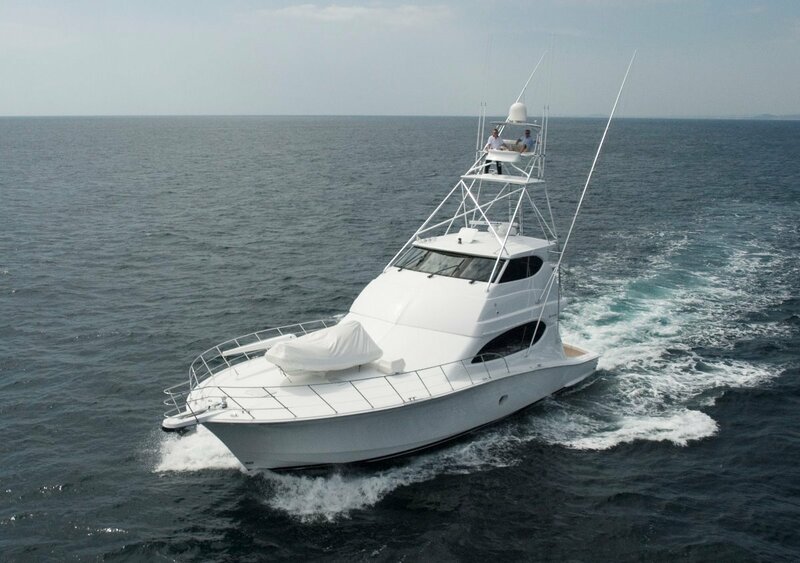 There is a cell phone booster to increase phone reception /range on board. 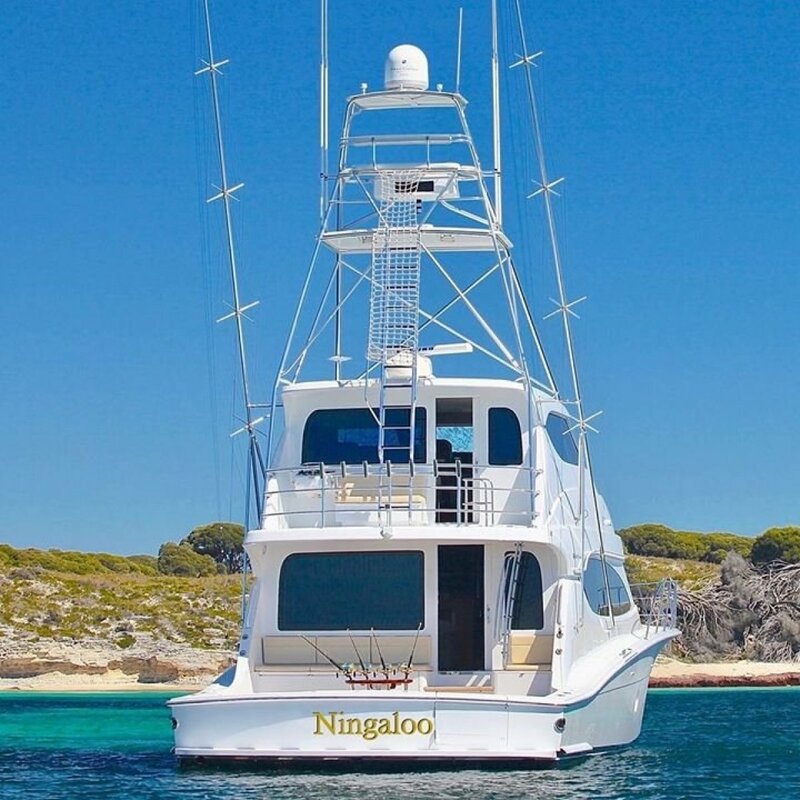 Deck crane [hydraulic], 'Pipewelders' outriggers [also hydraulically operated], transom door, swim board, deck shower, fresh water deck wash, table, teak rocket launcher, fridge /freezers, tackle drawers, casual seating with cushions, BBQ. 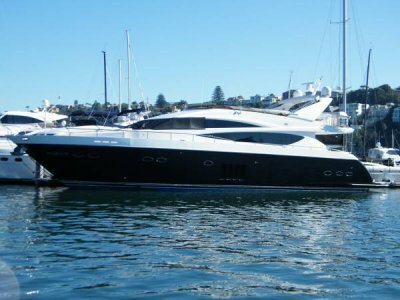 This fine craft was built to special order in compliance with Australian commercial standards and regulations. 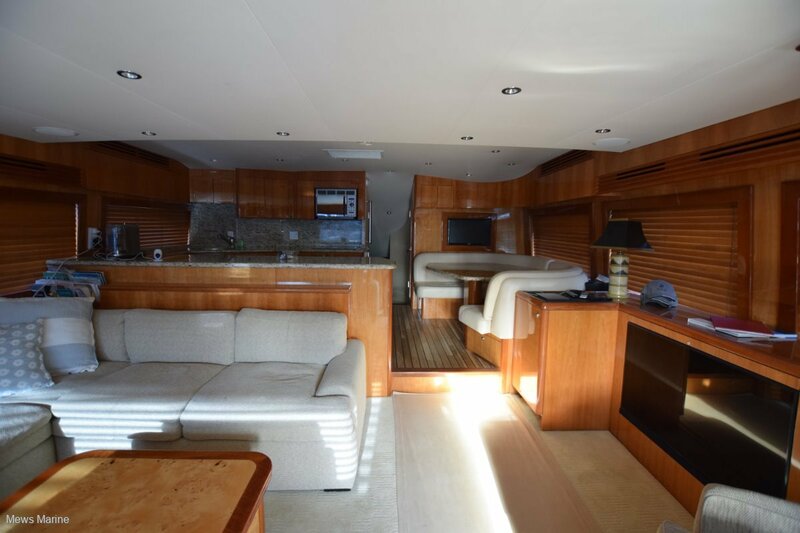 This is an outstanding, superior vessel in all aspects of build quality and high specification, with a very comprehensive inventory and is maintained to a very high standard by professionals. 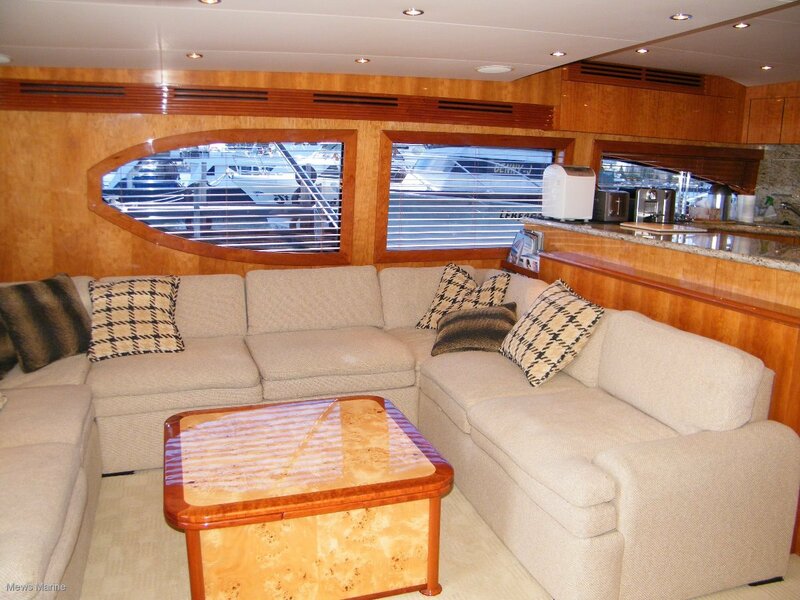 Survey is 2 C. Any inspection will impress the most discerning buyer. 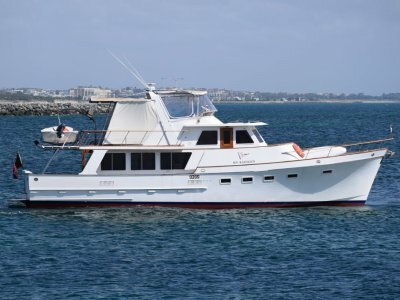 Contact Chris Mews on 0412 472 329 or Steve Green 0401 656 415 for appointment/ inspection..